When Is It Time to Call a Swimming Pool Resurfacing Company in Sydney? 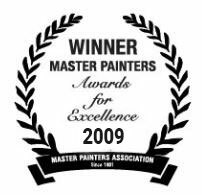 At PoolPainters, we have been doing swimming pool resurfacing work in Sydney for 36 years now—both for domestic clients and commercial clients. Needless to say, we know that even the most well-built and well-maintained swimming pools don’t last forever. Between the water, the chemicals, the exposure to UV light and other factors, swimming pool surfaces are eventually going to require replacement. We also know the signs that tend to presage the inevitable call to swimming pool resurfacing companies like ours. Below, we have listed some of the most common indicators that it is time to resurface or renovate your swimming pool. Which signs you notice in your pool will depend somewhat on what type of pool surface you have. For instance, the signs of wear and tear in a concrete pool are different than what you would expect to see in a fibreglass pool. Still, if you notice any of these symptoms, give us a call at PoolPainters, and we will advise you on what steps to take next. Stains that are hard to clean: If your pool has started to gather stains that are difficult to clean (or to keep clean), then it might be time to call for a Sydney swimming pool resurfacing. Often, these persistent stains are algae, which can be toxic. This issue is particularly common for concrete pools. Cracking or blistering: Fibreglass pools are typically the most likely to have problems with cracking or blistering. The cracks are signs that the pool hasn’t been cared for properly and are commonly seen after a fibreglass pool has stood empty for awhile. The blisters are moisture underneath the top coat of the pool. Both are issues that may call for resurfacing. Punctures or tears: If cracking and blistering is the common problem with fibreglass pools, then punctures and tears are the common issues with vinyl pools. Vinyl pool surfaces aren’t very durable, which means they can be pierced easily. Unfortunately, these punctures tend to require full pool resurface work. Exposed gunite (or other sub-surface materials): In concrete pools, it’s not uncommon to start to see spots of gunite (the pool substrate, or the layer below the surface) poking through. If you wait long enough, this problem will be visually evident. It will look as if the surface of the pool has flaked away. Even if you can’t see the signs yet, though, you can probably feel them. When gunite is breaking through, it results in the bottom and sides of a concrete pool feeling gradually rougher and more abrasive. Leaks: Another common problem that might not be immediately visible is a leak. If you notice that you need to replenish the water in your pool on a more frequent basis than you have before, there could be a leak. Leaks are typically signs that it’s time to call a swimming pool resurfacing company in Sydney for help. If you think you have a need for Sydney swimming pool resurface work, call PoolPainters today. From punctured vinyl pool liners to blistering fibreglass, all the way to rough and abrasive concrete, we can help you to solve any of your swimming pool woes. Call us on 02 9999 1199 to learn more. NSW Pool Resurfacing: Resurface Your Swimming Pool Today! Selling your home can be a very stressful time in your life as there seem to be a hundred and one things to consider. It can seem as if it takes forever to get the ball rolling even after you have sold your home—waiting for the buyer to sell their home and then more waiting for the legal documents to be validated. And this is after you have had an offer for your home! Unfortunately, the system in place is largely out of your hands and waiting for things to process is just one of life’s chores. You can, however, make every effort to increase the saleability of your NSW home which might mean that your home is on the market for less time. The best way to do this is to give your home a brief makeover so that potential buyers are greeted with a fresh look, leaving them with great first impressions of your place. The outside of your home is just as important to consider; a great outdoor space is a requirement for many buyers on the NSW market today. If you have a swimming pool, it is a unique feature that can set your property apart from the rest—making sure that it is at its best could help sell your home quicker. PoolPainters provide a range of services for swimming pool resurfacing in NSW for every residential or commercial pool. 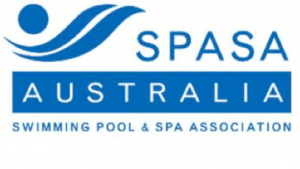 Our NSW swimming pool resurfacing service is one that has been provided by our company for over three decades, during which we have worked with a variety of residential and commercial customers. 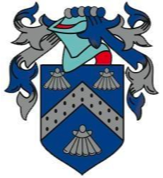 We have worked with many councils, schools and businesses across the area, and we provide examples of such work on this website, but would be happy for you to contact us if you would like more information. Our vast experience in the swimming pool resurfacing industry means that we can carry out work on the average size pool (9m x 4.5m) in just a week (weather permitting of course!). This service includes pumping out the water in your pool, followed by a thorough swimming pool resurface and renovation. We will also tend to any other accessories (such as water filters) replacing. We are committed to providing our customers with a top quality service, which is why we are always trying to bring the latest innovations to our work. One of the most recent developments within the swimming pool resurfacing sector is the use of UV light to sanitise pools. This method kills 99% of the bacteria found in most pools and can be used to reduce the amount of chlorine in your pool. For any NSW swimming pool resurfacing requirements, we have the skills and knowledge required to exceed your expectations. We have the experience to give you a fixed price swimming pool resurface quote which means that you won’t have any nasty surprises for any work that we carry out.